This Wedding Season, make yourself more trendy and glamorous with fashionable jewellery collection. Register an account with Jewellery Bazaar and you can get a gift coupon worth Rs.3000 freewhich you can use to buy rings, bracelets, earrings etc on minimum purchase of Rs.10000. So do not miss the chance, go ahead for registration and avail this benefit now as the offer is valid for limited stock. Go to Jewellery Bazaar page. Sign up to get an account. Avail a discount coupon worth Rs.3000. Use this coupon to get a discount on your minimum purchase of Rs.10000. Voucher will be provided in next 2-4 hrs. Don't miss the chance.Get your Gift Coupon at Jewellery Bazaar now. Zoomin gives your ideas a shape by adding a touch of art, creativity and fun. Treasure the best moments of your life with Zoomin products like Photo prints, personalized mugs, photobooks and many more. Buy stuff for Rs.99 and get a freecharge voucher of Rs.75. Shipping charges will be taken extra. Click here to visit Zoomin. Personalize your products and add to cart. 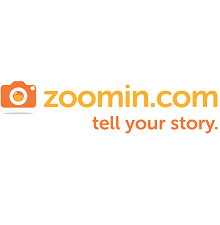 Offer is valid only on Zoomin.com and Zoomin app. Shipping charges excluded and will be charged separately. Freecharge vouchers will be issued by 16th December. Only White Coffee Mugs are on sale. Freecharge is currently offering another exclusive deal for all the new and existing users. Make easy and fast payments in a convenient manner using Freecharge offers and save yourself a good amount. From paying bills to mobile recharges, you can do anything in just 10 seconds. Here is a list of all the currently running offers on Freecharge. Click here to go to the Freecharge page. Download the Freecharge app on your mobiles. Recharge as per your requirement. Pay using Credit card/Debit card and Net banking only. Are you looking out for some great deals and offers?? Get a scoop of this amazing combo deal with MyDala app, India's biggest platform that serves all kinds of deals and coupons and become a smart shopper. 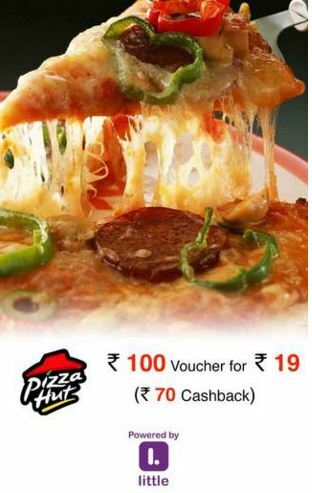 Just pay Rs.30 and you can get a Bookmyshow Winpin + US Pizza BOGO (Buy 1 Get 1) voucher worth Rs.100. The offer is valid till 25th December, 2015. Click here to open this link. Download the Mydala app from playstore on your smart phones. Search Bookmyshow and redeem the winpin code. With Winpin codes, you can enjoy Rs.100 off on Bookmyshow tickets. The Winpin codes will be sent via SMS and e-mail. Single code is applicable for each transaction. This voucher is valid across all cities in India. Only App users can avail the offer. The code is valid only for online ticket booking. Shmart provides you a great way to make your transactions and manage your cash transfers in a safe and secure manner. Now you can go around cashfree with this reliable mobile wallet. Shmart brings you a Bull's eye offer. Enjoy the superdeal and get amazing cashbacks on your recharges now only at Shmart.in .The offer starts today and will continue till 10th December. Choose your transaction type and amount. Get a cashback voucher on your recharge. The voucher will be credited within 72 hours of successful transaction. The cashback amount will be automatically credited to your Shmart Wallet account. The vouchers must be utilised on or before 20th December, 2015. 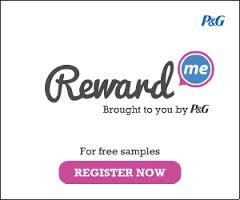 Register yourself with Rewardme.in and get free samples of Olay, Ambipur and many other products from P&G..
P&G (Procter & Gamble) has launched an exclusive online store Reward me where they provide free samples of popular brands like Ariel, Duracell, Head & Shoulders, Old spice, Vicks, Oral-B, Ambipur, Olay, Pamper, Whisper, Venus, Pantene, Vidal Sasson, Braun, Gillete etc. Once again, Rewardme has offered samples for some new products that makes you feel comfortable trying new brand without investing on product.Get yourself registered with Rewardme and bring your samples today to explore something different!! Choose minimum 3 samples that you want to claim. Signup with Rewardme to get a new account. You will receive an OTP for verification which is compulsory. Punch an OTP on verification box and you will be registered. Get back to your shopping bag and proceed to checkout. Avail these free samples to try products for your comfort. OTP needs to be verified. Atleast 3 samples should be selected. You might have to wait as delivery takes time. Hurry Up and get you samples now!!! All the new users can catch an amazing deal at Paytm. Just register yourself for free as a Paytm user and get Rs.20 balance in your Paytm Wallet. You can use this amount for Mobile Recharge, Bill Payments, DTH Recharge, Shopping and a lot more. Become a Paytm subscriber and grab the offer now. 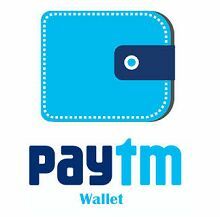 Click here to go the Paytm wallet. Get yourself registered on Paytm. Paytm cash will be transferred to your wallet. Mobile no. verification is mandatory for this offer. You can access the deal only on Paytm app or website. IndusInd Bank credit card holders have a fair chance to fly anywhere in India at reasonable prices with Yatra.com. The minimum amount for roundtrip bookings for domestic flights is Rs.6000. You can get upto Rs.1200 off on your flight tickets using the Yatra App. Book your tickets now as the offer is valid only till 16th December, 2015. Choose the preferred day and destination. Get a 20% off and enjoy the deal. Offer is valid only for IndusInd credit card users. While booking through Mobile app, you get a flat Rs.600/Rs.1200 off on one-way/ roundtrip tickets and Rs.500/Rs.1000 off through desktop. First 900 transactions will only be entertained under this offer. A maximum of two transactions can be made by each customer. Travel dates only before 31st March,2016 are valid for booking. Last date for availing the offer is 16th December. Hurry !! For further details, visit the above mentioned link. 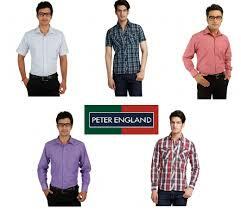 Shop an exclusive range of Peter England and get a cashback of Rs.499 on your minimum purchase of Rs.1599 only at Trendin.com, a perfect online store for all brands. Explore latest fashion today with a wide range of Trousers, Shirtings etc.. for official as well as casual purpose with Peter England and shop it today within your budget price by availing discount. Shop now as the offer is valid for limited period. Click here to view the deal page. Select product of your choice and add to shopping cart. Get a discount of Rs.499 on your billing amount. Shipping is free. No charges are applicable. Open the app and Register using the same mobile number as on Paytm. Select My deals in the main menu to access the purchased deals. Rs.70 cashback will be credited in your Paytm account within 72 hours. Coupon is valid on all days. Voucher can only be used for takeaways and dine-in. This voucher can be combined with other running offers at PHD outlets. Valid on all items including combos. Each user can purchase only one coupon. You can use multiple coupons from Little App to enjoy discount on the same bill.